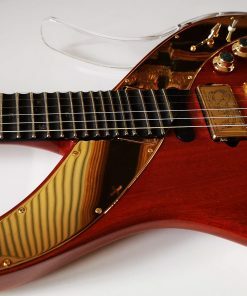 The EBONY SKY SERIES is the latest addition to the family of Sky Guitars. The idea originates with one of Uli’s most senior Sky Academy Students, Enzo Trujillo. 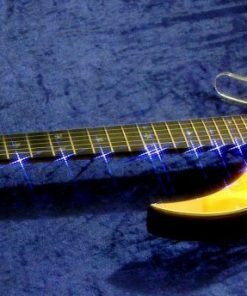 Enzo now owns no less than three Sky Guitars, which makes him a real power user. 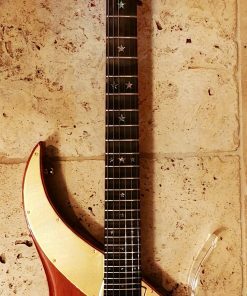 Last year, in 2017, Enzo was dreaming of a Sky Guitar with ebony neck, no scalloping and a hard tail bridge… Pretty much the opposite of what Uli would go for in a concert Sky Guitar… Uli thought about it for a second and immediately realized that this was a very interesting idea, because this would definitely result in a very rich and warm sounding instrument. 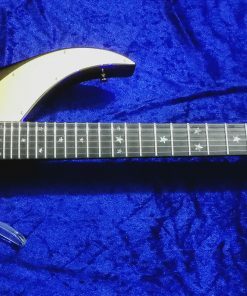 The result was the first EBONY SKY which was finished in February 2018. Uli already played it in concert at the memorial for his brother Zeno. 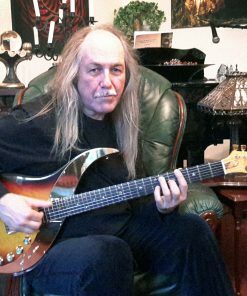 Uli was extremely impressed by the guitars’ tonal response and overall handling and said he would love to have a guitar like that himself in the future. Enzo is over the moon with his new guitar. 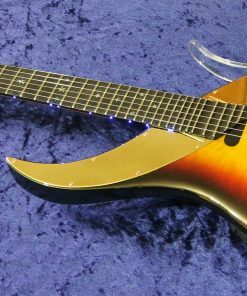 These are exciting times for all lovers of Sky Guitars!